We are not just talking about another car when we talk about Subaru. Subaru is a very unique line of vehicles that comes to us from Japan. Even the company started out uniquely in the 1950’s when a group of smaller companies that ranged from coach-builder to scooter maker and engine builder merged and created Fuji Heavy Industries. With that merger Fuji Heavy Industries created an automobile division in 1953 and named it Subaru. Fortunately we have some of the earliest Subaru brochures and sales pamphlets that we can share with you. Subaru introduced their first car in 1954 with the P-1 (only 20 were built), which was the original code name of the car and then it was changed to the Subaru 1500 when it came time to sell it to the consumer. The Model 1500 was powered by a four-cylinder water-cooled engine and featured independent front suspension and a live rear axle that used leaf spring suspension. 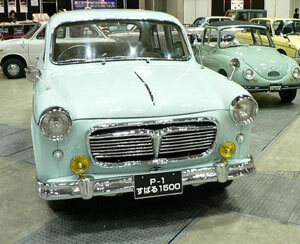 By 1958 Subaru introduced the 360 models that became very popular in a short time. The Subaru 360 was so popular that it was built for 12 years running; see the Subaru brochure below for a close up look at the Subaru 360. 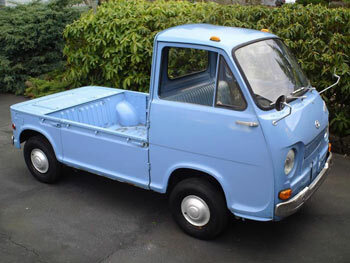 Subaru kept moving forward by offering more models that included the Sambar (small truck) in 1961 and then a Sambar small van and then the Subaru 1000 that replaced the 1500 in 1966. The Subaru 1000 was considered a crowning achievement in the Subaru line because it was the first front wheel drive vehicle and it was powered by their own “Boxer” engine. By the end of the 1960s Subaru started exporting to the United States and Subaru of North America was formed. In the 1970s Subaru hit it hard with the introduction of the Subaru GL and Subaru DL. This model was offered in other countries and called the Leone. They came in both a sedan and a wagon and featured 4wd chassis, which became the standard for Subaru vehicles and even today and all the Subaru’s are 4-wheel drive. In 1977 Subaru introduced the Subaru Brat, which was a two-seater truck/car combination that featured seats in the cargo area. The Brat was a hit with young people and those that participated in outdoor sports like hunting, fishing, camping and hiking. We have the Subaru brochures and sales literature featuring the Brat and the others. Subaru continued through the 1980s, 1990s and the next decade adding depth and range to their family of vehicles. The Subaru Outback has become legend along with WRX. The Forester, Crosstrek, Legacy, and Impreza continued to win over more fans every year. The BRZ has become a very popular favorite since its launch in 2012. 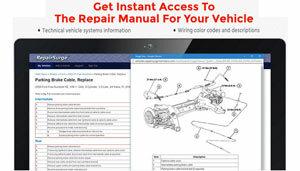 The Subaru brand has become know for quality, durability and great resale values. The Subaru has a loyal base of enthusiasts and followers that are very partial to the Subaru vehicles wouldn’t consider anything else. Some would say the Subaru is a bit of a quirky car, but that is part of what makes this growing brand more popular year after year. See the Subaru brochures below for a closer look at what some people believe to be some the finest vehicles manufactured today for the price.